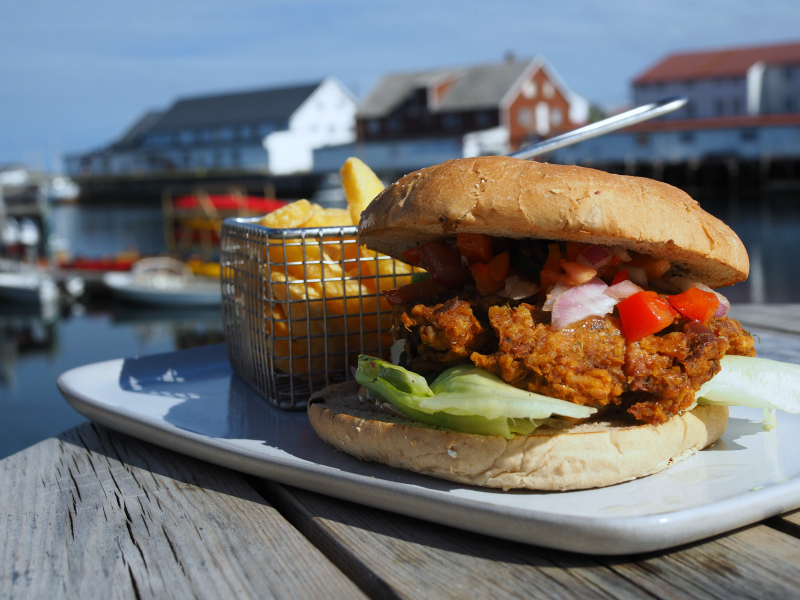 I remember seeing in a Facebook group a post that someone had eaten a vegan burger in Lofoten, an archipelago in the Northern Norway. That was around a year ago. 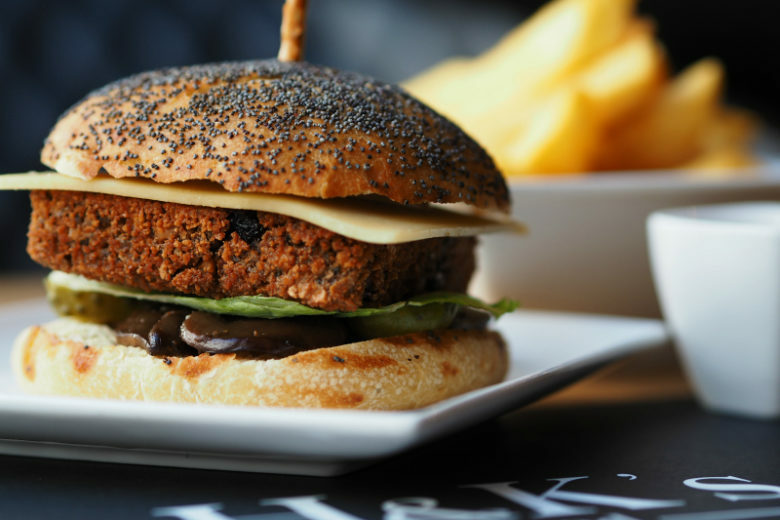 Somehow it stuck to my head that they really serve vegan burgers high up north in those magical landscapes of clear blue water with an arctic twist. So when planning for our summer vacations we decided it was time to go there and draw a little check mark next to Norway in my burger list. We booked a train to Rovaniemi in Finland and rented a car to drive through Sweden to the north of Norway. We had one week time, no bigger plans than to hike, enjoy the landscapes and eat that burger. Now I only had to find that restaurant. I hadn’t saved the post to Facebook. I had no clue when I had read about the burger. I tried googling with bad results, nothing on Happy Cow since I didn’t know what was the name of the village. After going through 1,921 screenshots in my phone I found that message (I take screenshots of all the interesting and inspiring things that I see. The problem is to go through them when I try to find something specific, like now.) Note to self: write these things down. 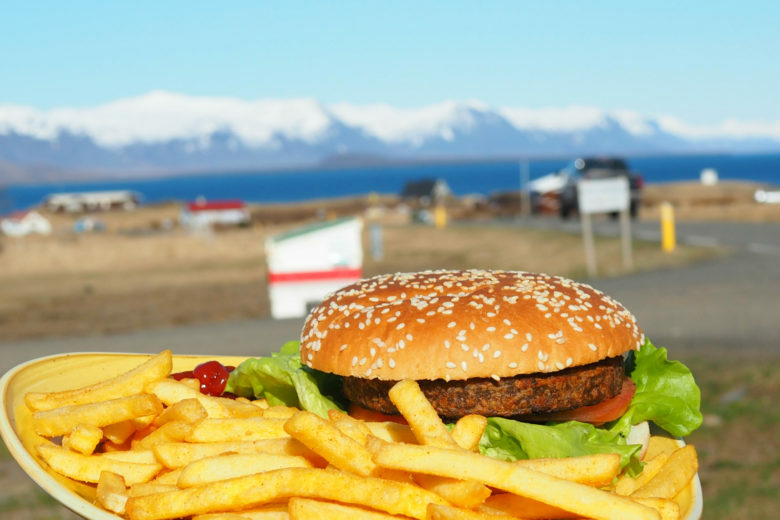 Otherwise you might miss a chance to eat a delicious burger with stunning views. Luckily that wasn’t the case now. 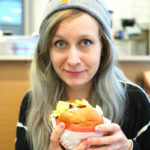 The burger was located in the town of Henningsvær. 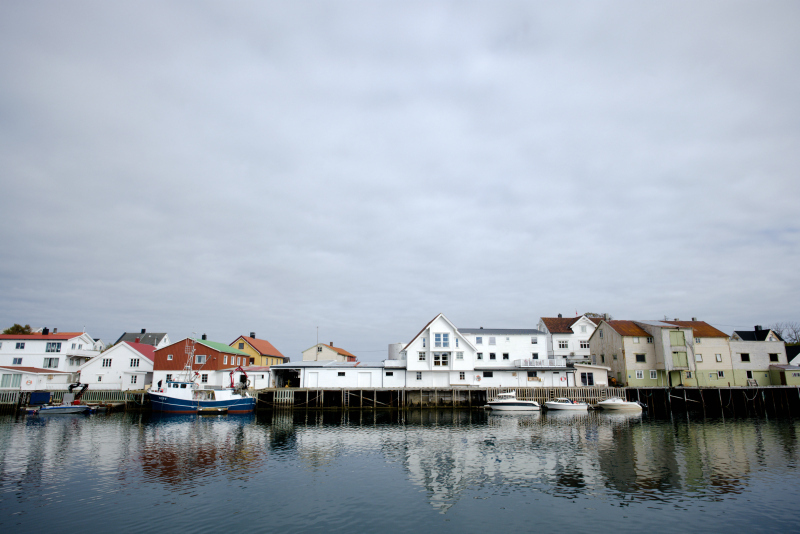 Lovely fisherman’s houses, there is no lack of those in the Northern Norway. A bit too crowded with tourists, but hey, what wouldn’t you do to get a good burger. Near Henningsvær there are many places to go climbing and that was also visible in the name and interior of the restaurant, Klatrekafeen, climbing cafe. 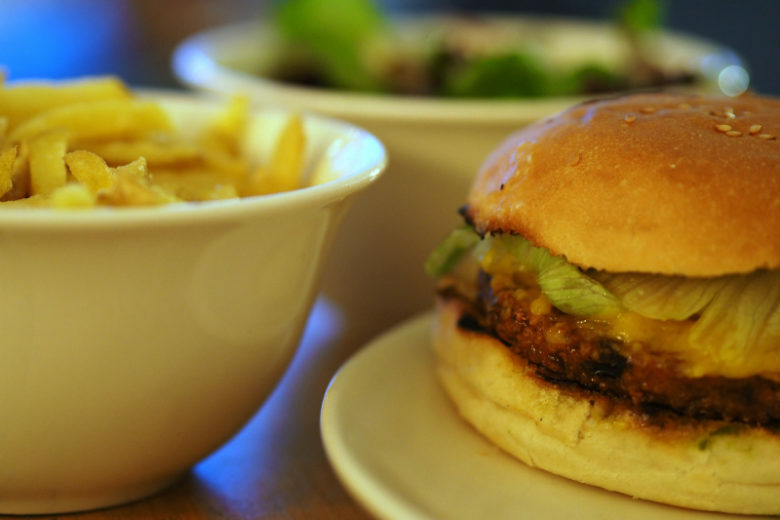 The place was laid-back and I was happy to see the vegetarian burger still on the menu. By taking away the aioli it became vegan, magic! It had burger sauce, a crispy chickpea patty, paprika, onion and lettuce. The patty was a bit crumbly but I enjoyed it. 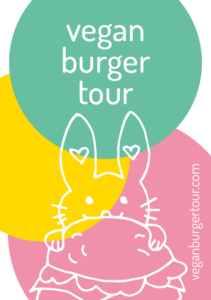 The places where burgers can take you! The view to the mountains and sea from the terrace were almost as good as the burger. I was, of course, determined to eat the burger but other than that we were camping and cooking our own food. 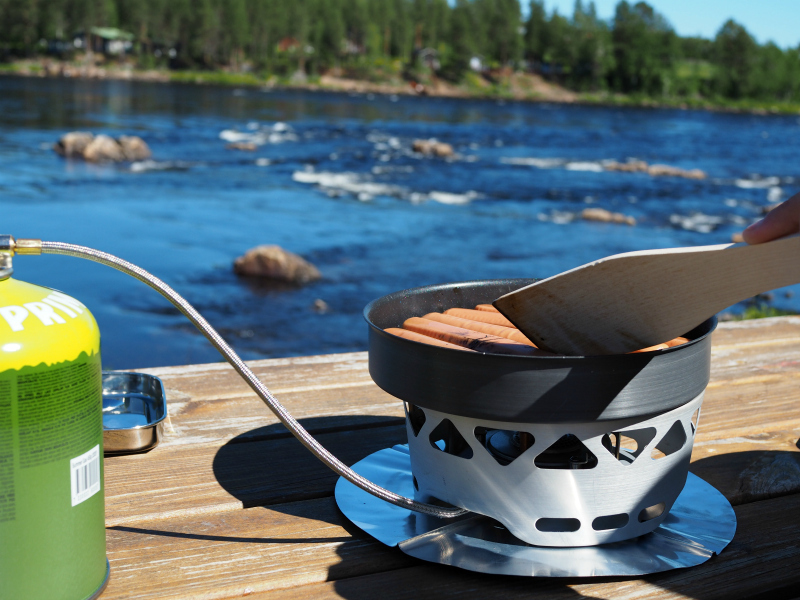 If you head to Norway to camp, I would advise to buy the food in the Swedish side. 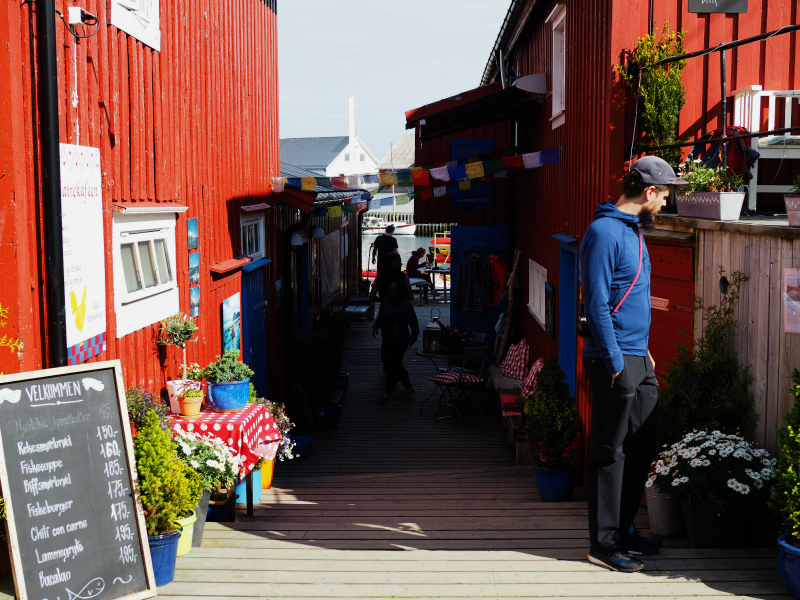 Sweden is a paradise for vegan food when Norway seems to concentrate to sell fish oil in two liter tanks. Well not quite, but Norway doesn’t have that many vegan products in its supermarkets and the prices are high as well. Sweden on the other hand has everything a person can wish for. And Finland is not too bad either. We actually bought most of the stuff already in Finland, got some extra goods in Sweden and then just bought some hummus and fresh veggies in Norway when we felt like it. Some vegan sausages on the way to Norway next to Tornionjoki, a river that flows in the border of Finland and Sweden. 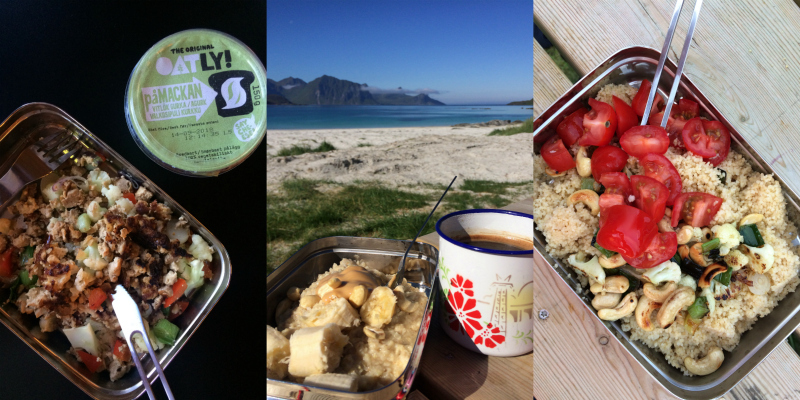 Some of the camping food: tofu scramble with veggies and Oatly Påmackan, a morning porridge with banana and peanut butter in Haukland beach and some couscous with cashew nuts. Lofoten was just amazing. 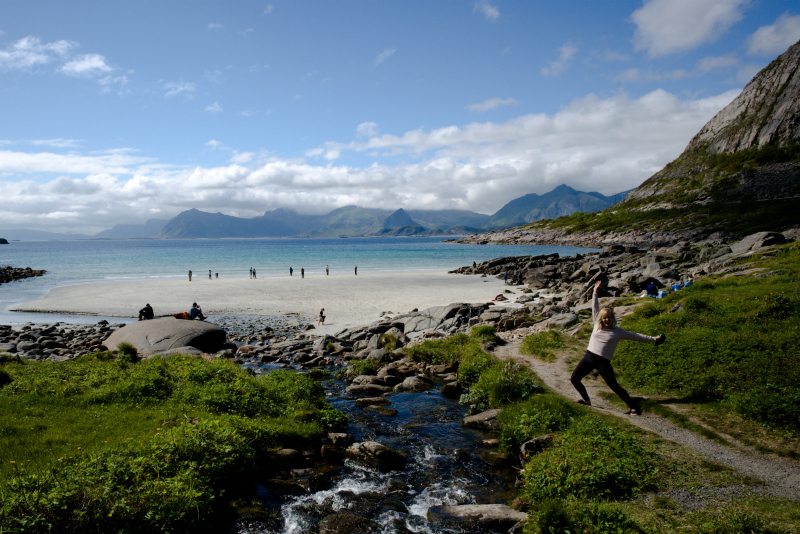 My favourite place was probably Haukland beach with an amazing white sand beach and gorgeous mountain views. We overnighted there couple of nights. I even took a dip! It was so crazy, because it was a sunny day, the scenery is like from some tropical paradise island but the water was so cold that my ankles froze in no time. 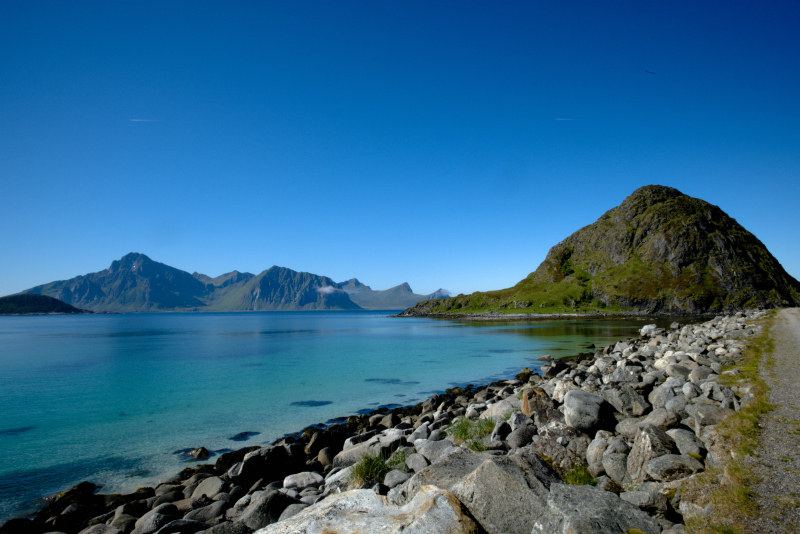 I hate hot weather so I think Lofoten is the paradise for me. I can sacrifice my ankles. We hiked a mountain up there near the beach and also couple others. I tell you, when the tourist information person says it is just a walk in the park, be prepared to walk a steep mountain wall and hold on to the rocks because it is so windy and so high up, steep cliffs right next to you. The Norwegians seem to have a bit different standards when it comes to a demanding walk than us Finns from flatland. 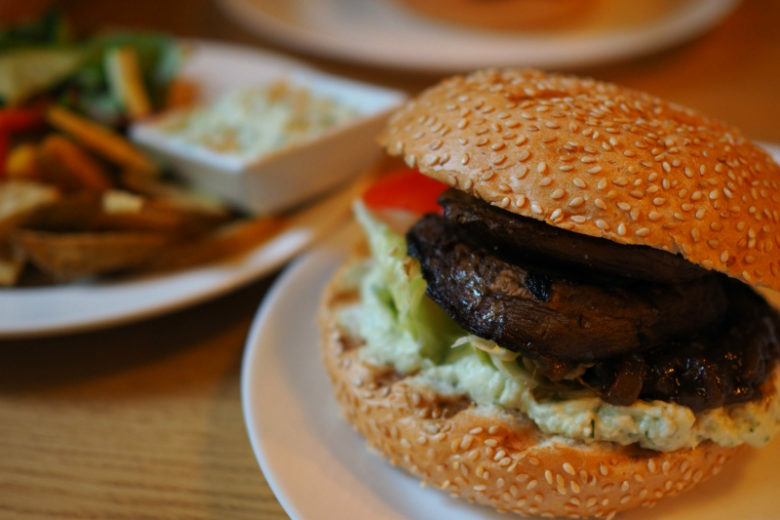 Next time I visit Norway and a bigger city, I will certainly try Vegan Norway app, that has some tips at least for Oslo and Bergen. I heard there is a vegan donut shop in Trondheim! A shop full of donuts was only 950 kilometres away from Lofoten. Vegan donut tour next, maybe? Burger count 18 countries, 34 burgers.